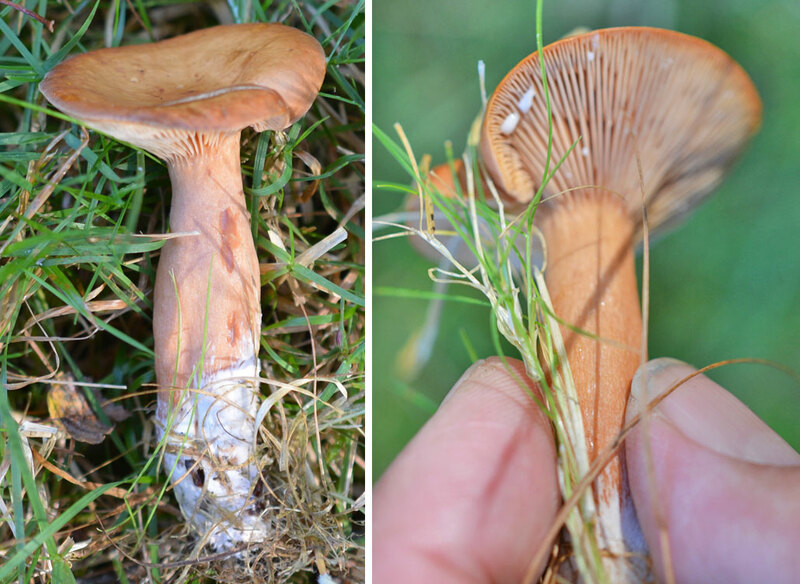 It was here I discovered Slippery Jack (Suillus luteus) and I don’t see many of them at all around the midlands. It is such gooey splendour to behold when you first find one. I’m guessing some people might dislike the slippery surface, but I just loved it, especially when it’s a key identification feature too. 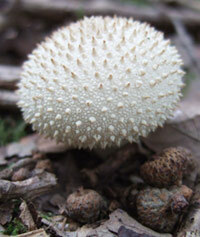 Found exclusively in conifer woodland, especially with Scots pine you will be pretty sure what you have stumbled across. 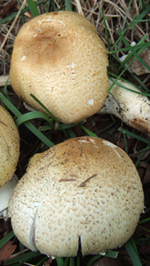 It is a medium to large mushroom and closely related to boletes, featuring pores instead of gills, but feature glutinous caps (to some degree or another) many of which have rings on the stem and grow along side conifers. 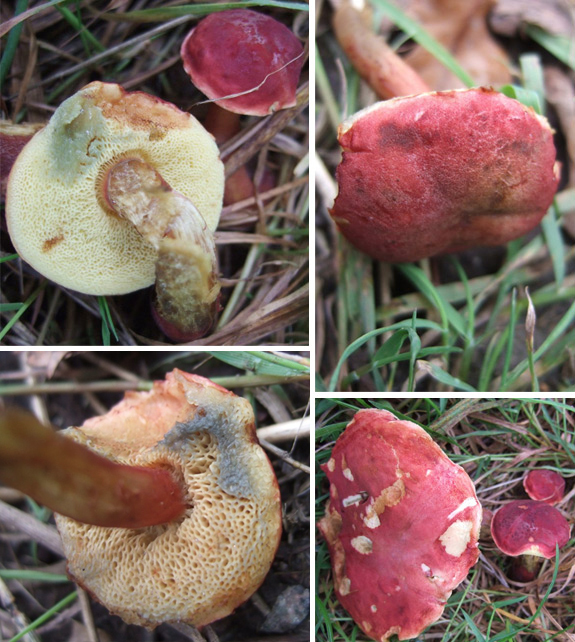 There were only a few I found with (I think) Larch Boletes which are very similar but lighter in colour, growing with larch – naturally. I didn’t check all trees around which I’m kicking myself about! But that’s a post for another time. 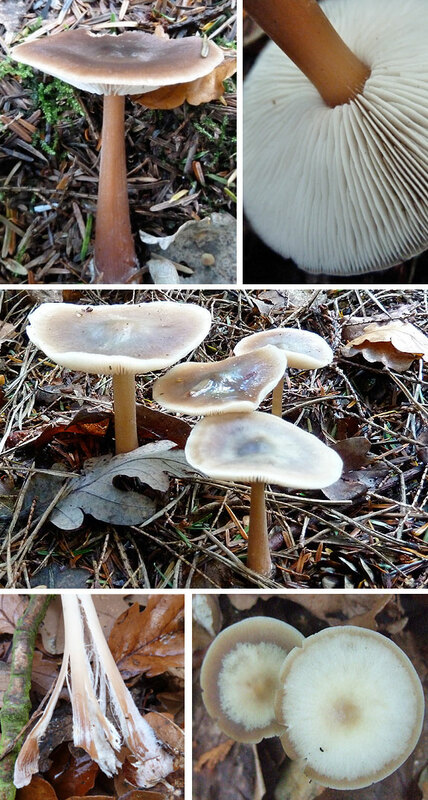 The chestnut/sepia brown sticky cap is unmistakeable. Slide your finger across, hold it for a second, then slowly pull your finger away. Nice brown glutin goo will want to come along with you. Great stuff. 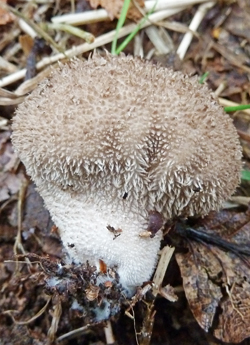 The small round yellow – straw yellow pores can become flushed a deeper brown colour. 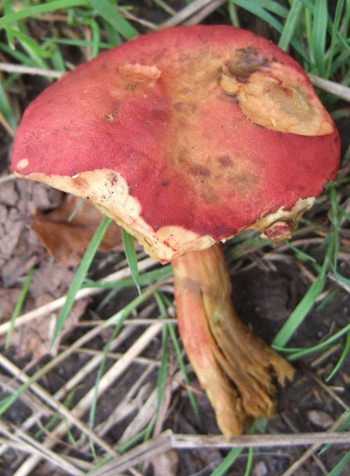 And, as mentioned before, with most Suillus species, there is a ring on the stem. Depending on what age you find your Slippery Jack it can differ somewhat. 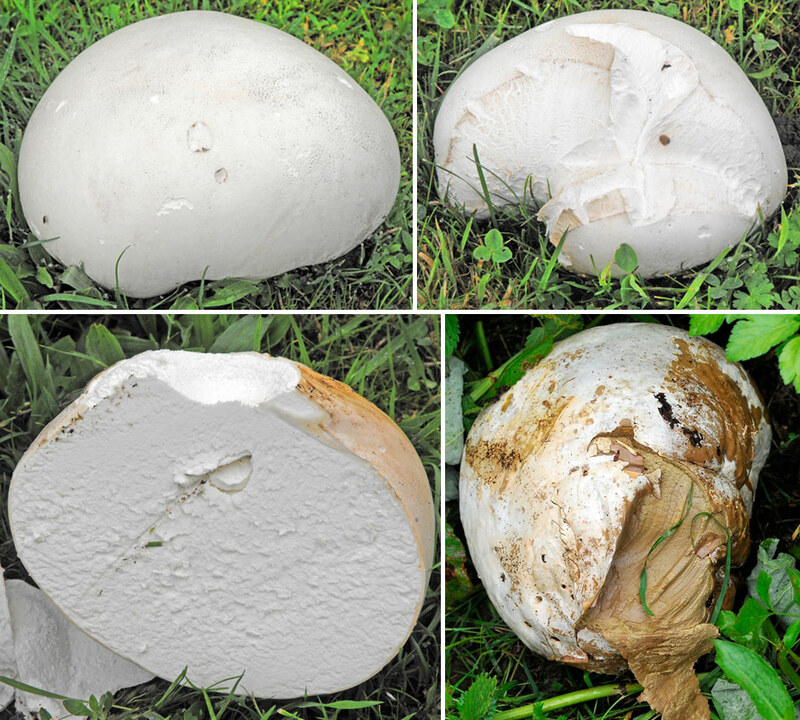 Initially it is large and white/cream in colour. It will turn a deeper reddish-brown over time and maybe even fall off leaving only a memory of it’s presence! 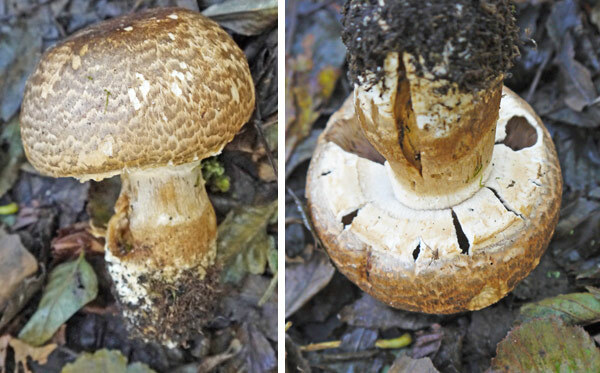 But key features to note are that ‘above’ the ring the stem is the same/similar colour to the pores underneath the cap, but below the ring is white, at least underneath sepia brown granulations and darker markings – so let’s just say darker! There is no real distinctive smell or anything like that to make you want to pick and eat it, but it is edible and definitely worth a try. After peeling away the glooping covering they must be cooked and may shrink a little as they are very ‘watery’. OK, so you don’t have much left, but try it sliced in some omelettes or add as a pizza topping. And thanks to a recent comment (see below) it’s most common use is to dry slices of the cap (after peeling and cooking I presume) and then process into powder which is good to add to soups, casseroles and such. All good stuff. 5 – 12cm in diametre, Chestnut or sepia colour. More rusty colour when older. Brown slimy & sticky gluten on surface. Shiny when dry. Flesh is white. 5-10cm x 2-3cm. Ring on stem. Pale straw colour above ring at apex. 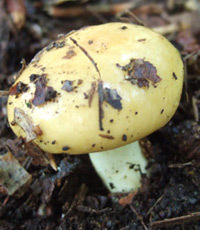 White but discoloured darker brown with age. Ring initially large white/cream darkening to deep brown/sepia. Small and round. Lemon yellow / straw colour. Spore Print: Clay – ochre(see how to take a spore print here). With conifers, usually Scotts pine in autumn. Common. Edible but watery. Must peel slime off and cook before eating. Or dry and process into a powder for soups and casseroles. 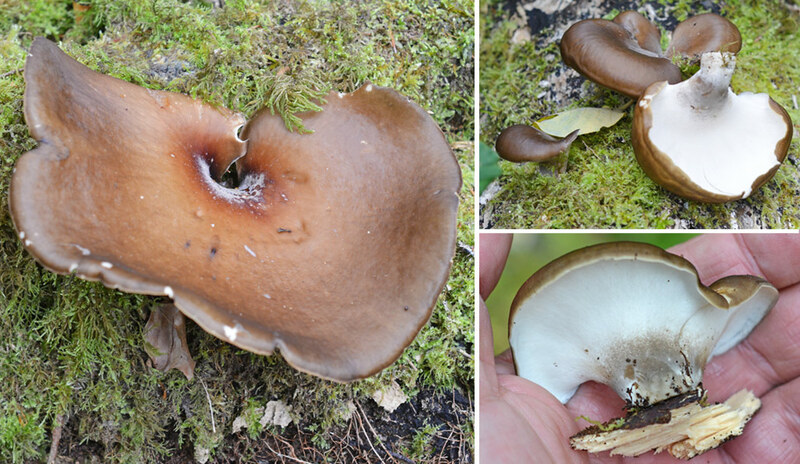 • Like Boletes, Suillus has pores on the underside instead of gills. 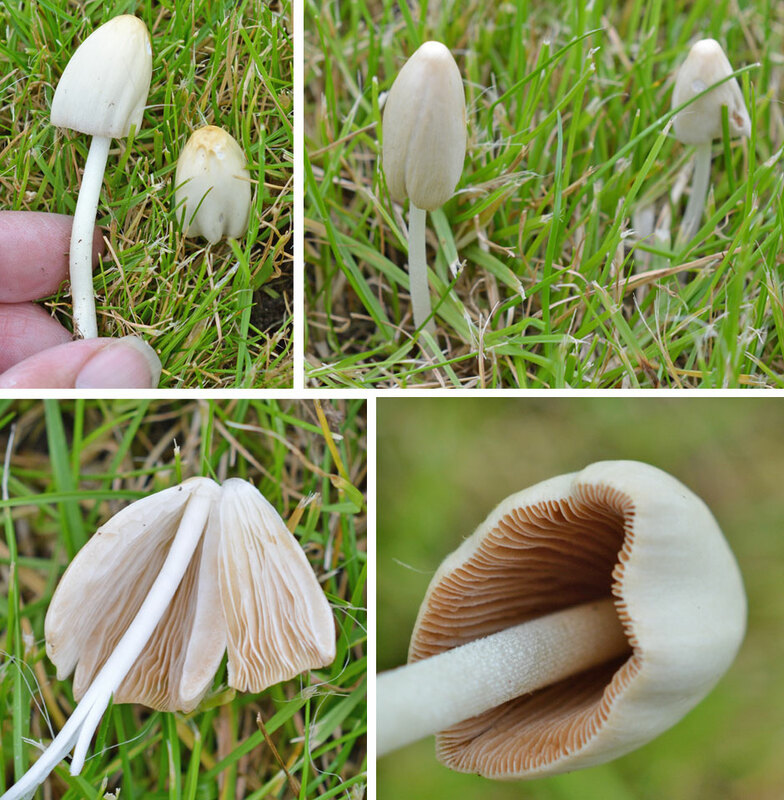 • Most have glutinous/slimy caps, especially when wet. • Growing in association with conifers. 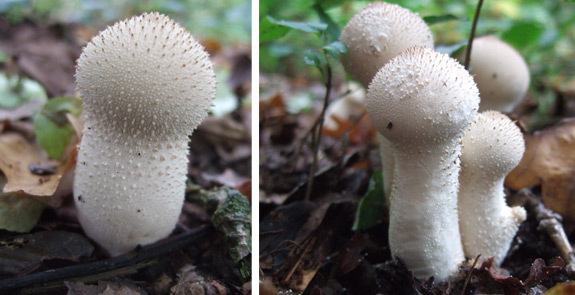 https://i0.wp.com/www.mushroomdiary.co.uk/wp-content/uploads/2012/10/stinkhorn-egg.jpg?fit=667%2C277&ssl=1 277 667 J C Harris https://www.mushroomdiary.co.uk/wp-content/uploads/2015/10/mushroomdiary-logo-2015-small.png J C Harris2012-10-08 14:50:322017-07-29 11:19:59Savouring the Centre of the Stinkhorn! 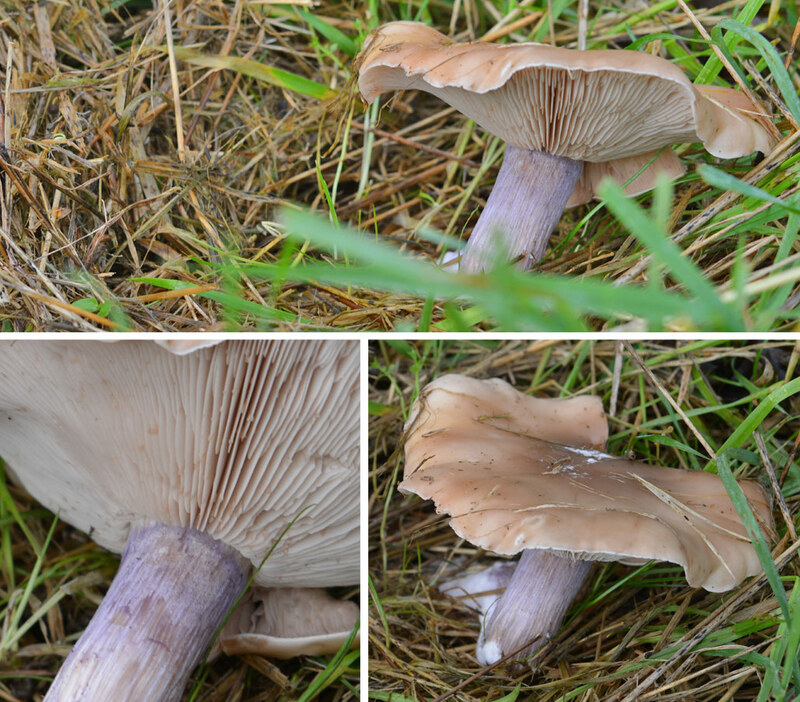 Recently from late summer to round about now (mid-autumn) this is the most (extremely) common mushroom I find on my trips out. 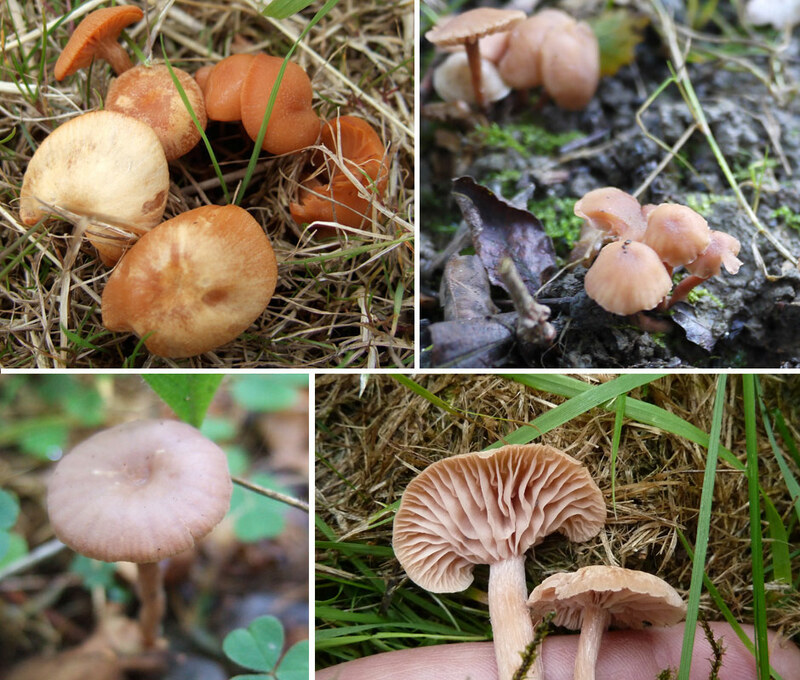 Well, this and the Sulphur Tuft, which is as common as muck but a lot prettier! 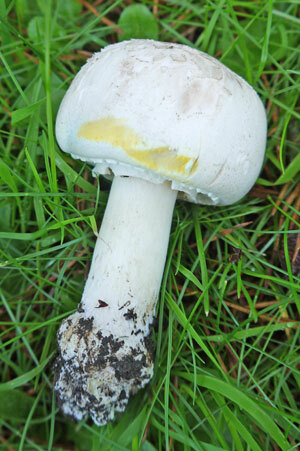 The Common Yellow Russula or Ochre Brittlegill (Russula ochroleuca) is simply everywhere. 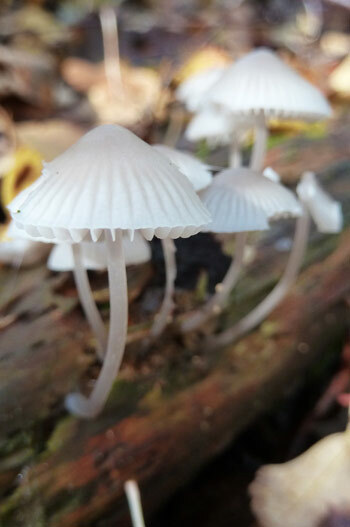 Sometimes in small groups scattered across the woodland floor (all types of woodland) and sometimes simply on their own. What a popular fellow (no tree pun intended). 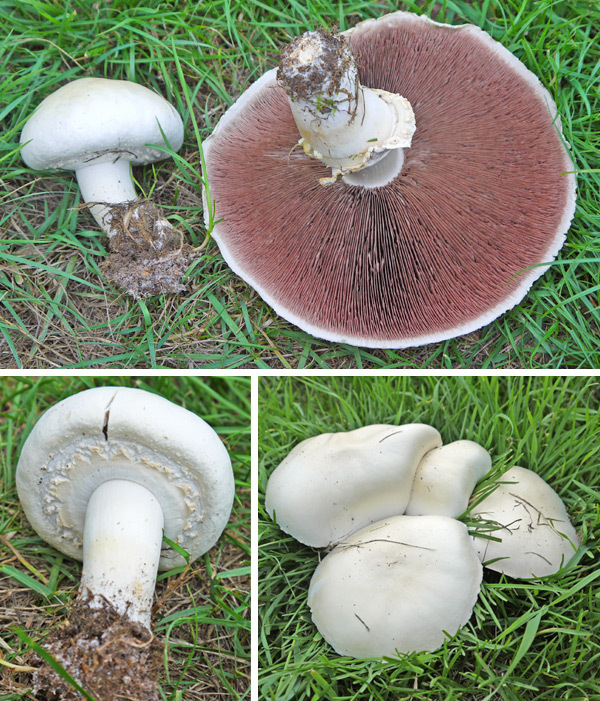 The Russula family of fungi is simply huge, consisting of more than two hundred species. Their commonly used name is the Brittlegills. 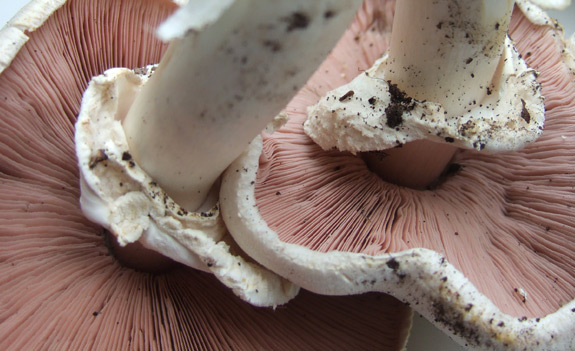 If you run your finger across it’s white, widely spaced gills with light pressure they will buckle and break very easily. 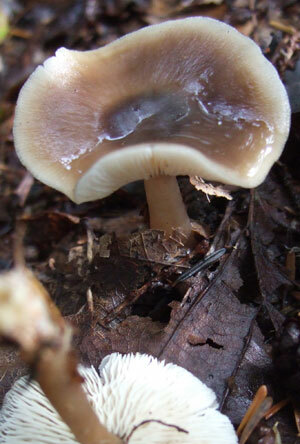 In fact the whole mushroom structure is brittle, or for want of a better word ‘crumbly’. 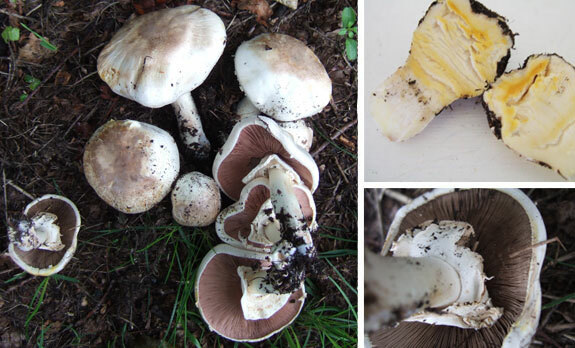 This genetic characteristic is a useful identification tip in recognising all Russulas (Please note that the Charcoal Burner is the exception to the rule with it’s gills being quite flexible and resistant). 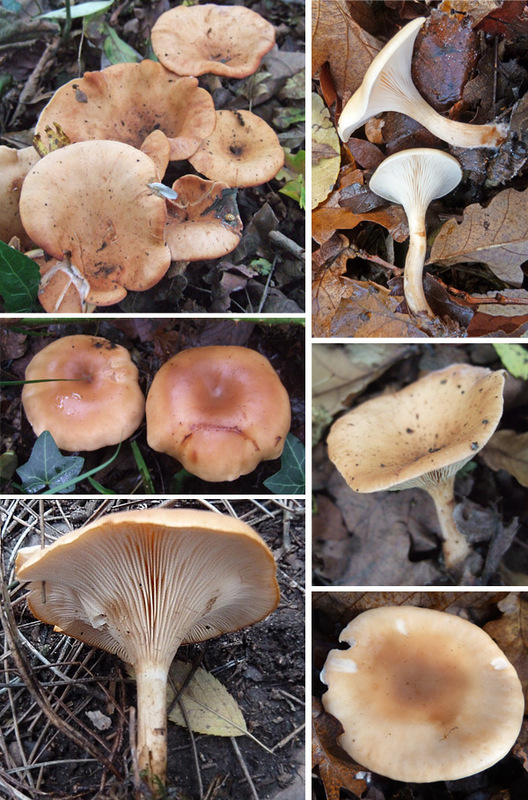 With so many Russula mushrooms lying about, all with their own distinctive colourings, there are (you’ve guessed it) more yellow chappies out there to add to the confusion. Mushrooms don’t ever make thing easy do they!? 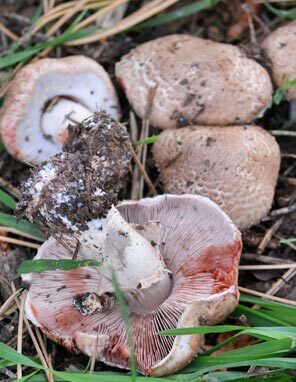 The most common twin is the Yellow Swamp Brittlegill (Russula Claroflava) which is definitely more tasty than our common friend here. 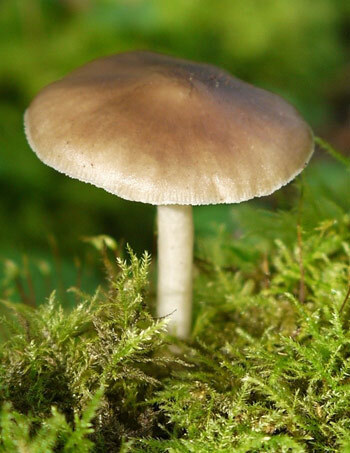 It has a brighter yellow coloured cap and is found only in moist, damp birch woodland. 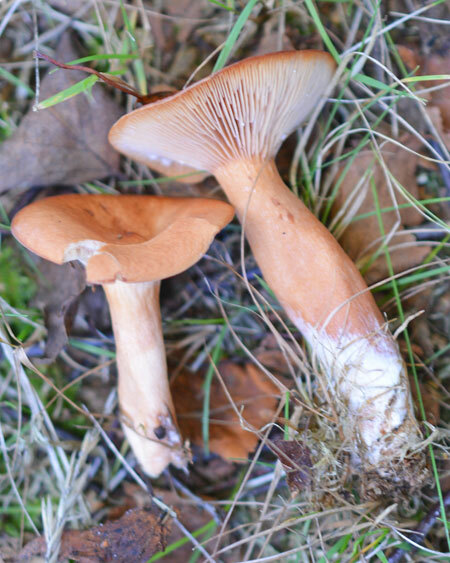 The spores are ochre coloured as opposed to the white/cream spore print of the common species. 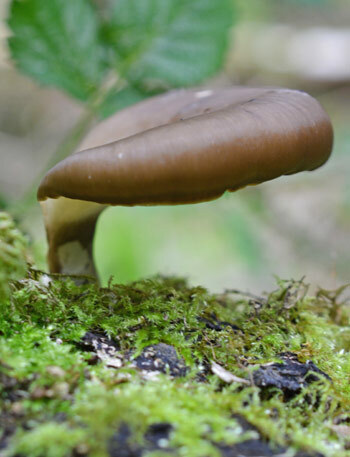 As mentioned above, the Yellow Swamp Brittlegill is a better edible find but I have no good photos of it yet to show you – that’ll be for another day in the diary I think. But none the less, I did try our common friend here – and although not highly rated – I didn’t think it was that bad. 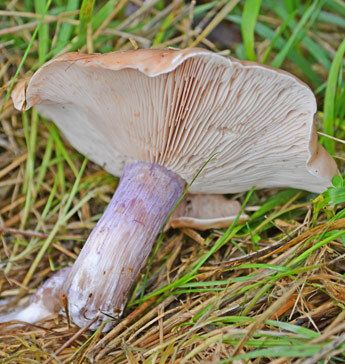 It is a little bitter, but it can be nice and fleshy and would be quite good if added to a multi-mushroom dish with good seasoning. Give it a try. 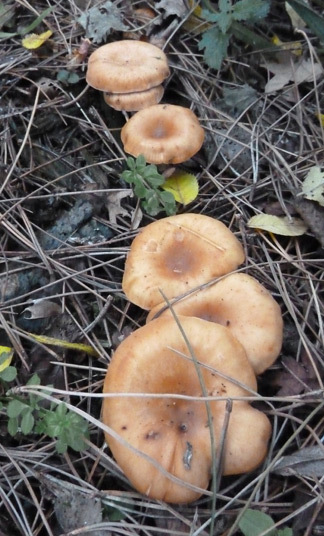 One last tip before you take these mushrooms home is take a good smell test. 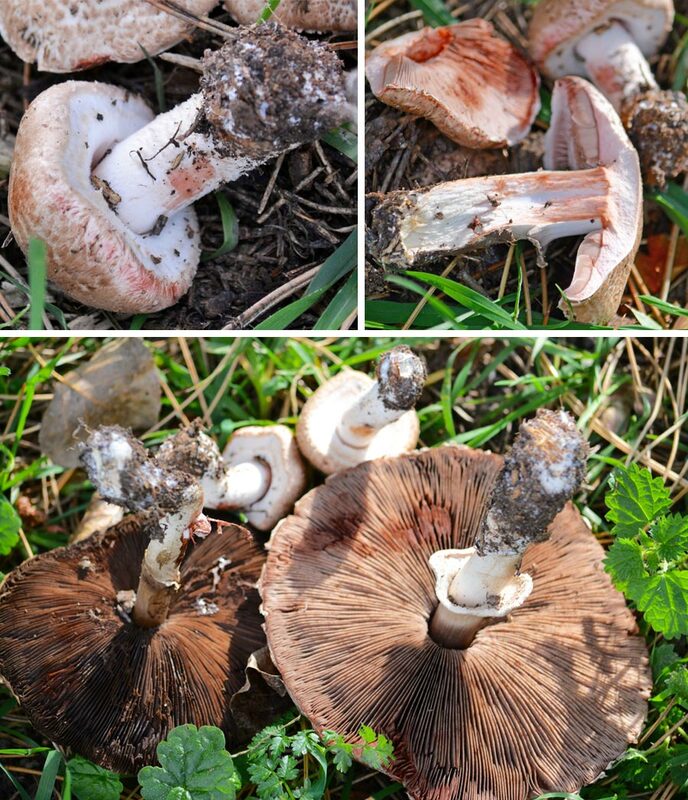 Just in case you have a Geraneum Scented Brittlegill (Russula felea) on your case. It is very much unpleasant and bitter to eat. 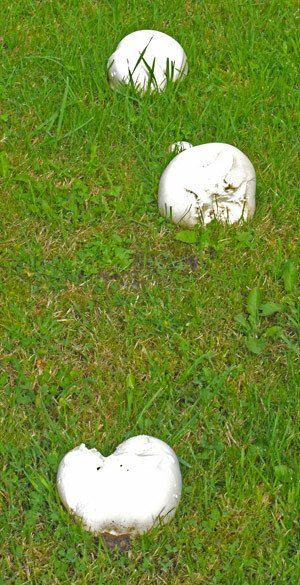 So, just as you wouldn’t geraniums – don’t eat mushrooms smelling of them. Good rule! Not often will you find a prisitine specimen. 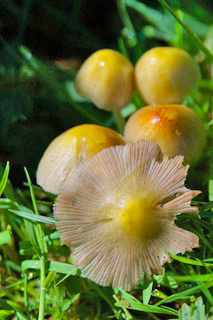 Russulas are fragile things, and most loved to be nibbled and munched! 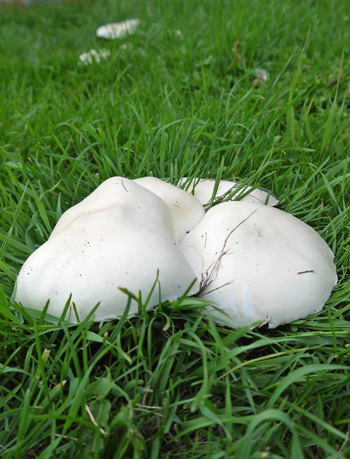 4-10cm across. Initially convex, then flatenning out, often with a depression. Ochre, yellow or sometimes greenish-yellow. Two-thirds peeling. Flesh tastes mild to moderately hot. 4-7cm x 1.5-2.5cm. White. Turns grey-white with age. Spore Print: Whitish / pale cream (see how to take a spore print here). With broad-leaved trees and conifers. Late summer to late autumn. • Simple stems with no ring or volva. • Many have bright colours in shades of red, yellow, greenish and purple (or mixtures of). A few are pallid. • Whole fruting body is ‘brittle’ (granular and fragile) and will easily crumble, break on handling. 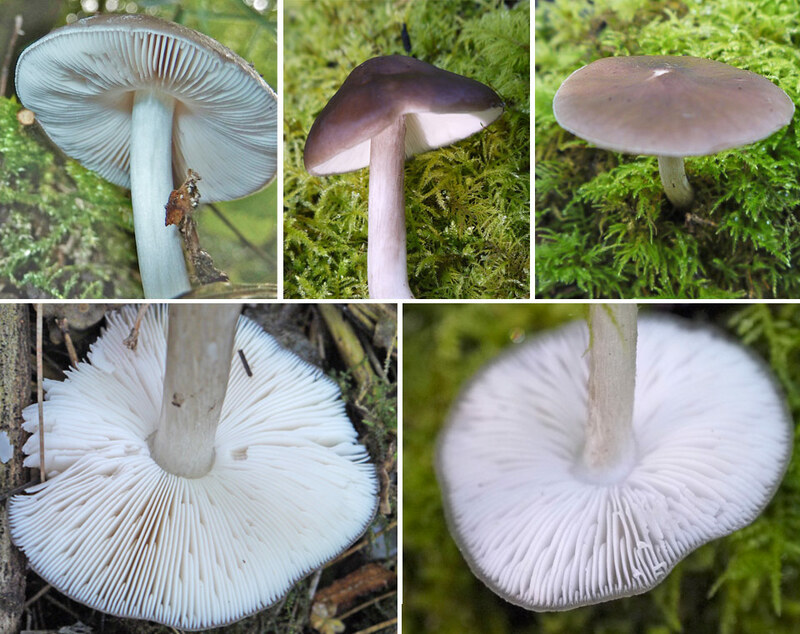 • All have straight (precise geometric look) gills. These crumble (on all but one species) when touched/handled; hence brittlegill. • Note how much the cap cuticle/skin ‘peels’ from the margin upwards (.ie. 1/4, 1/2, 3/4 or none etc). 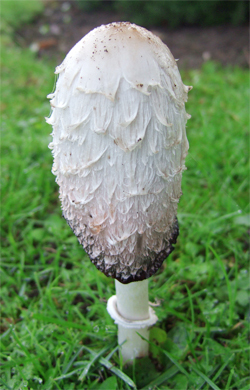 • Note smells and tastes of hot, bitter or mild from nibbling & spitting (be sure you’re dealing with Russulas! ).